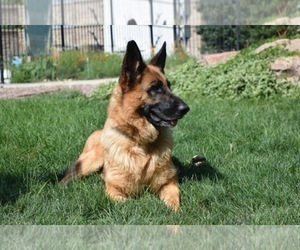 We are a Colorado breeder of family raised companion German Shepherds that are loyal, medium drive, healthy, and well socialized. Our goal is to develop the highest quality German Shepherd who are confident, calm, and well mannered. We have a small kennel so all of our dogs live inside our home with our family. We breed both Long Haired and Standard Coat German Shepherds. Most of our females are imports and our sires are hand picked based on lines, temperament, health, and physical breed standards. We health test our dogs and offer a health guarantee and a lifetime of support.